No longer sold as a ticket, all field service calls are now "Priced on Application". Introducing the ETC Service Ticket! 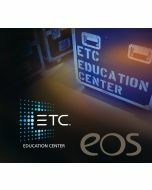 Includes one-day of on-site ETC Technician services to help service your ETC system to help keep your ETC gear in great shape. Add a Service Ticket or two when purchasing a new ETC System for unexpected emergencies, or buy after the dust settles to ensure you get the most out of your existing gear. Located near California or Oregon? We have several Authorized ETC Field Service Technician on staff and can usually provide this same service at a reduced price. Send us an email or call us for details about our ETC Service Calls. If this is an emergency, before purchasing please first contact ETC Tech Support at 1-800-688-4116 or service@etcconnect.com. They will get back to you within 15 minutes. Expires 24 months after purchase.